I discovered Hazel Records much later than Wooten's other labels. 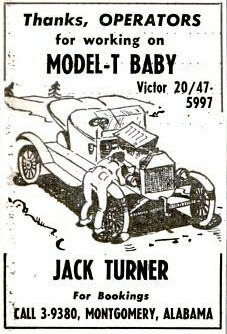 It seems that this record label was not fully owned by Style Wooten as the J. Allen Gann release superficially had no connection to the Wooten company but was certainly on the same label (it has a Southaven, Mississippi, adress). Also, the publishing company on the Hazel releases was Abide Music, which is not known to have been a Wooten imprint. 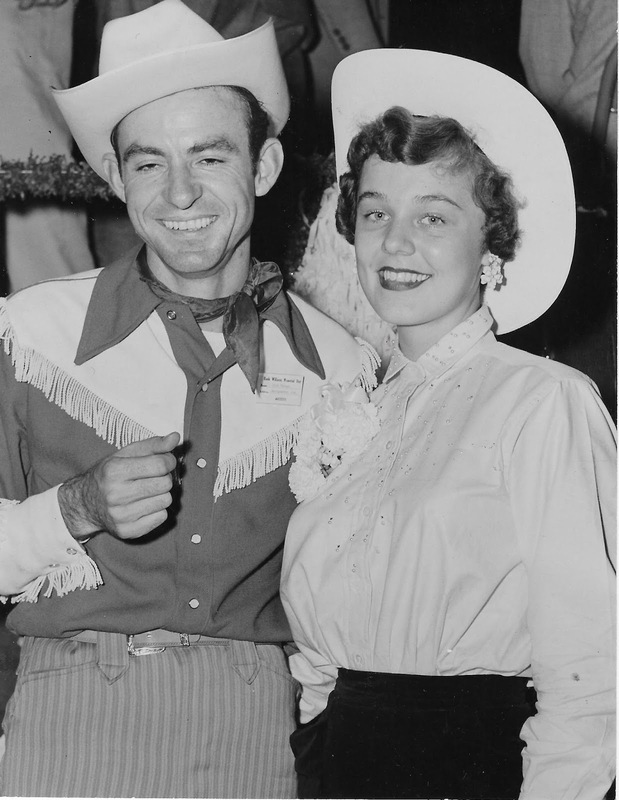 Floyd and Mary Biggs were a husband-wife composer duo, likely from Nashville, Tennessee. The couple caught my attention about four years ago when I corresponded with Kenny Norton, a Murray Nash discovery, and talked about his career in music. He recorded two of their songs in 1965 for Nash's Musi-Center label. During my research on Nash's activities, I discovered that the Biggs had written many more songs. However, I failed to nail down some facts about Floyd and Mary Biggs. When asked about the Biggs, Kenny Norton replied to me: "I only met Floyd and Mary a few times and that was always in the studio. You probably know more about them than I do. I do know they were very nice and helpful to me as a teenager not knowing exactly what I was doing. At the time I had no idea how much they had contributed to the music business. It was the same with Murray [Nash]. I had no clue how much he contributed. Floyd and Mary were just down to earth people. If you had met them on the street you would have no idea who they were. It was the same for Murray. Mary always worked with me on the piano. I think she understood my situation of having to record 'Oonie Oonie' when I really didn't like the song at all." Floyd Biggs was visually handicapped, according to Norton: "Floyd and Mary seemed to be about middle age when I knew them. They were very simple people. Floyd was not totally blind but close to it." Mary Biggs first appeared as a songwriter in February 1957, when RCA-Victor released Del Wood's "After Five," written by Mary Biggs, Wayne Meador, and "Red" Biggs (probably Floyd). During the mid-1950s, the couple often worked with Hargus Robbins, a Nashville piano session musician, who was also blind. Together, they also composed Robbins' rockabilly single "Save It," which he released as "Mel Robbins." Floyd and Mary Biggs were active until the mid-1960s, often writing for Murray Nash's catalogue. The whereabouts of Floyd and Mary Biggs are not known, unfortunately. I have researched and found many people of this name but I haven't found a good track, yet. There was a Mary Katherine Biggs (1932-2018), who lived in Springfield, Tennessee (not far away from Nashville) but there's no hint she's the same Mary Biggs. I have collected Floyd and Mary Biggs compositions and counted 33 songs so far. You can retrieve my results at 45cat.com. Thanks to Kenny Norton for sharing his memories with me. Chuck Berry's immense influece can only be estimated. He changed and influenced so many careers, it's impossible to find proper words for his legacy. However, here's a quick one for you from the master of guitar rock'n'roll. "Bye Bye Johnny" is one of my favourites, although I first heard cover versions of the song and not Berry's original. Mike Waggoner and the Bops laid down an amazing but sadly unknown version of it in the early 1960s. They also cut a similar song entitled "Guitar Man." The mighty Status Quo, UK hard rock and boogie rock giants, recorded their version of the song in 1975 for their album "On the Level." They close every single concert with "Bye Bye Johnny" since decades. One of the most interesting things in record collecting is (for me, at least) the many small labels in Arkansas. Often, you discover an unknown record with a familiar name - a rock'n'roller from the 1950s that made another record later on, maybe returning to his first love, country music. Or a gospel quartet that performs to this day. One of these hidden treasures is Hob Nob Records in Northern Arkansas. Hob Nob Records was a low scale label, based in Harrison, Arkansas. It was owned by Earl Nicholson and operated by Hugh Ashley out of his store, which also included a small recording facility. 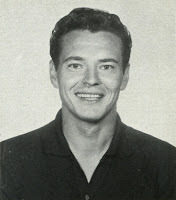 Ashley had played in a band with Mike McAllister, Mike Collins, and Kirk Coffman and in fact, McAllister would record a single for Ashley's label in 1958. Ashley recorded a couple of local country and rock'n'roll artists on Hob Nob, most notable Wallace Waters, the aforementioned Mike McAllister, and Upton Horn. Wallace Waters led a local band in Harrison that played dances all over Boone County. Apparently, Waters was the drummer and the vocalist in the band. He recorded memorable rock'n'roll tune called "Holiday Hill" in 1959. The song had been previously cut by Slim Wilson on Hob Nob. With just his guitar and his singing, it turned out to be a totally different but charming style of old down-home folk. Wallace Waters recorded another single for Trend and kept on performing locally. He is still active in the Harrison area. Mike McAllister recorded a rollicking and echo-loaded "Twenty One" with a girl called Nancy, whose identity otherwise remains unknown. The flip side was "I Don't Dig It," written by Hugh Ashley. It very well could be that the band heard on this record was Ashley and McAllister's group. "I Don't Dig It" was also re-issued by Rockin' Ronnie Weiser on his Rollin' Rock Records in the 1970s. Upton Horn recorded a country single for Hob Nob, also in the late 1950s. He went on to become a DJ on KHOZ in Harrison and recorded another single for Table Rock Records in Omaha, Arkansas. Horn was born September 26, 1924, but died tragically way too early on September 9, 1984, in Harrison at the age of 59 years. He was a local celebrity in the Harrison area through the 1960s and 1970s. If anyone has more info on Hob Nob Records, feel free to pass it along. I bought this record during my research on Paul Westmoreland and his song "Detour," which resulted in my article for American Music Magazine, "At the Detour Inn." "Detour" was composed by Westmoreland and recorded first by Jimmy Walker in 1945 (with Westmoreland on steel guitar). It became a big hit and subsequently cover versions by Spade Cooley, Elton Britt, Wesley Tuttle, Foy Willing, and Patti Page also. Walker's career, however, never really took off. He became a member of the Grand Ole Opry for one single year, secured a major deal with MGM (but was dropped by the label after one session) and then became a mainstay of WWVA's Wheeling Jamboree. But luck was not on his side. In 1965, he tried again and re-recorded "Detour" along with "Go Back Little Tear." 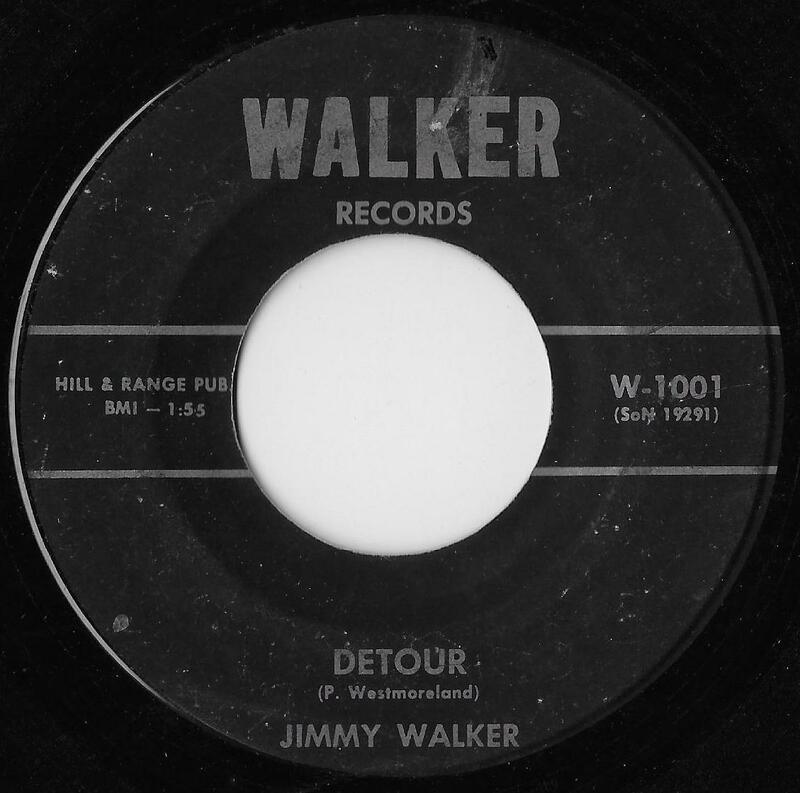 It was released on the Walker label, which was likely his own operation. The line-up on this recording is unknown, but it was a moderate version of his original hit with electric guitar, steel guitar, and piano. This was a Buck Trail production from 1962. Skyland Records was likely one of Trail's own labels, based in Skyland, North Carolina. The 15 or 16 years old Pat Parker had previously recorded "Boy Watcher," a song that was claimed to be Buck Trail's own composition, although there have been others who claimed it was their song, however. Trail, whose real name was Ronald Killette, had been recording rockabilly in the 1950s in Miami and also doubled as a promoter, booking agent, record producer and manager for other local acts. I have been into Trail's story for some time and the results of my researches were published in American Music Magazine, issues #137 and #140. 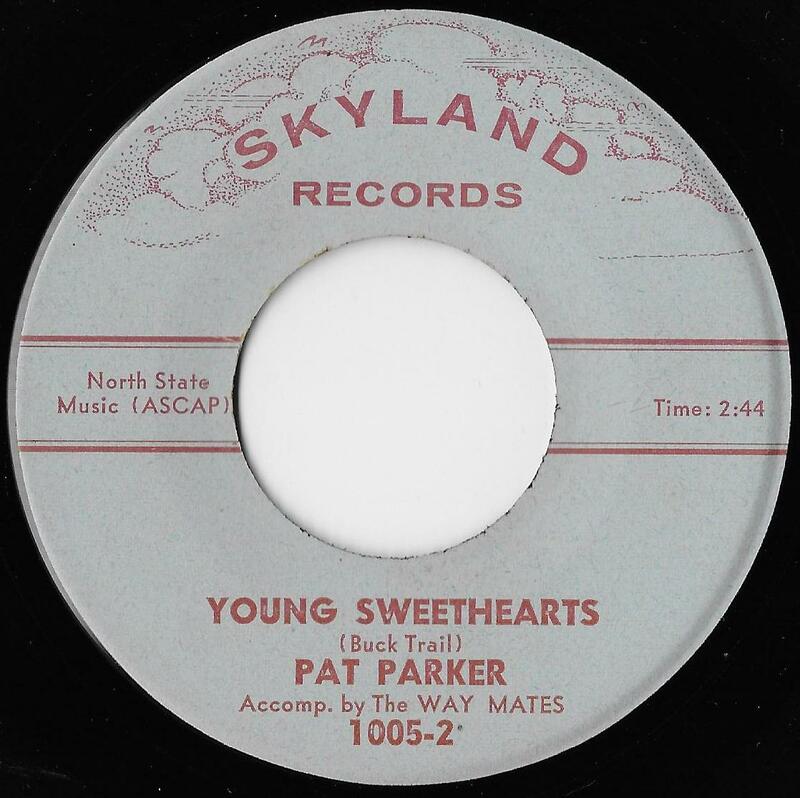 Buck Trail had recorded "Young Sweethearts" first in the mid-1950s (accurate recording date is not documented) for his own Trail label. Backed by a female vocal chorus called "The Teenettes," his version was a very warm and pleasant performance. In contrast, Pat Parker's version lacks of the Trail version's charm (in my opinion). Although Parker's singing approach is patterned very similar, the backing band (The Way Mates - also a teenage group) does not deliver a good performance. Parker's version has a good guitar solo, though. The band performs better on the flip side, "Date with the Blues," with a mandolin, nice brush played drums, and some good background vocals. By the way: "Date with the Blues" was written and recorded by Billy Cox and his Covered Wagon Boys in 1959 for Jan Records (Marshall, Missouri). Buck Trail, a rascal who didn't took it too serious with the truth, never had anything to do with writing the song but managed to cut him into the songwriting credits. It's another mystery how he got notice of the song, which was clearly a local release by Cox. I found it is impossible to research anything substantial about Jim Murray or his band, Caravan. This record came with a picture sleeve, showing Murray behind his drum set. 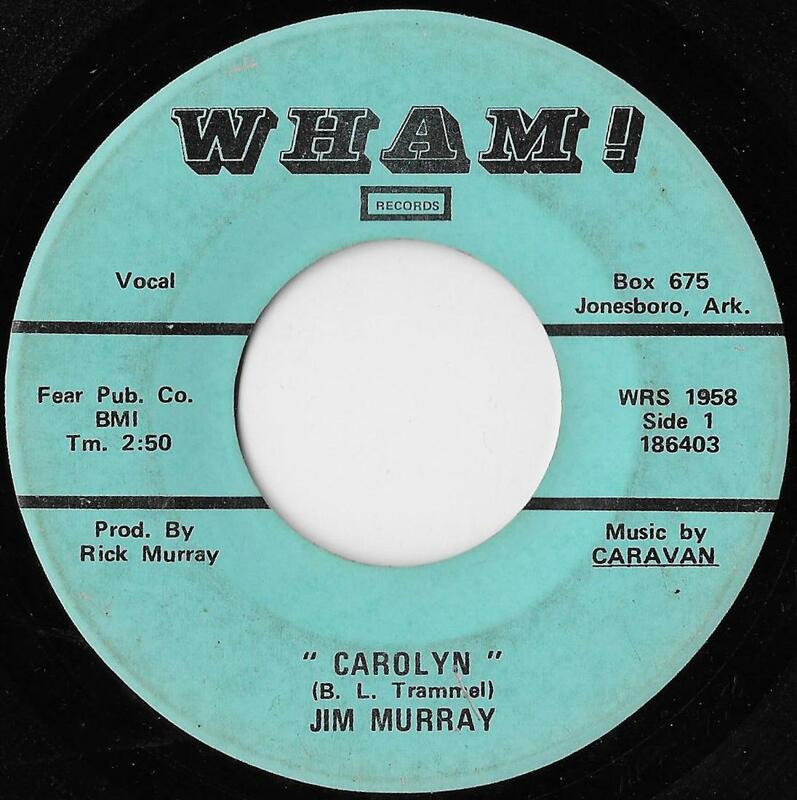 The sleeve also tells us the other members of Caravan, which included Rick Murray (also the producer of this record and possibly Jim's brother?) on saxophone, Bill Gage on lead guitar, Jim Wagner on piano, and Sonny Kelly on bass guitar. The flip side to "Carolyn" was "Putter Sparken," an "Instra-mental" number (as spelled on the label). Murray had another record on Wham, which was a Jonesboro, Arkansas, label. It featured "Ufo" and "Let There Be Drums," two more instrumentals of which one certainly starrs Jim Murray's abilities on the drums (I can say this without ever hearing it!). Wham at least another release by an act called "Sunrise." 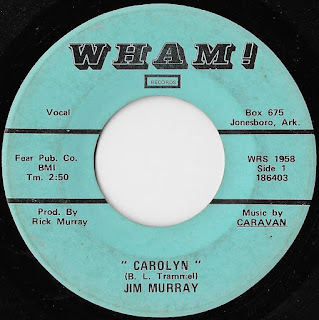 "Carolyn," of course, was from the pen of Arkansas wild man Bobby Lee Trammell, who recorded it in 1962 for another Jonesboro label, Atlanta Records. It was slower than Murray's version, though it has not the nasal vocals on it like Murray's. Trammell's original recording (which I suppose it to be) was released with the more energetic "Sally Twist" on Atlanta #1501, likely in the fall of 1962. Thus, Murray's version must have been from 1962 or 1963, I suspect. You can see the picture sleeve in good quality on 45cat.com. • The story of Bobby Lee Trammell and his hit "Arkansas Twist"
Here's an odd one from the Delmores. 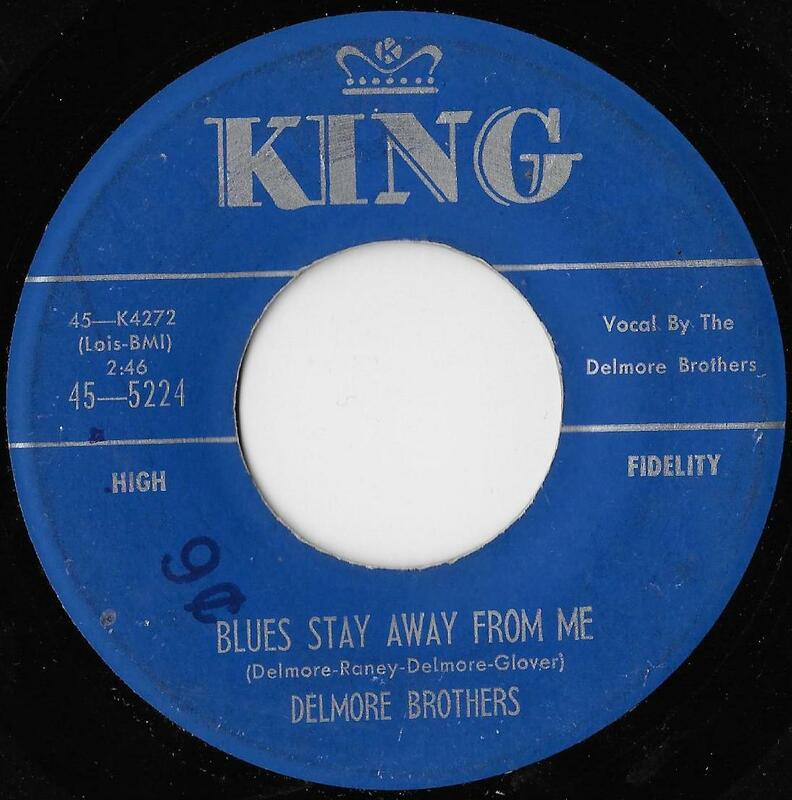 King re-released their biggest hit "Blues Stay Away from Me" with overdubbed drums (they also applied that to the flip, "Muddy Water"). The original version was recorded on May 6, 1949, at the King Recording Studio in Cincinnati, Ohio. The line-up that day consisted of Alton and Rabon Delmore on vocals and guitar, Zeke Turner on guitar, Wayne Raney and Lonnie Glosson on harmonicas, and Louie Innis or Henry Glover on bass. The original record was King #803 with "Goin' Back to the Blue Ridge Mountains" on the flip from August 31, 1949, and became a No.1 hit (their only one). 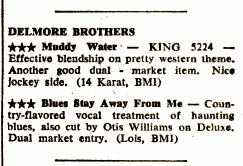 King dug out the old master tape, overdubbed it and re-released it with "Muddy Water" (original record King #45-1084) on July 8, 1959. Billboard took notice of the record in its July 13 issue and commented: "Country-flavored vocal treatment of haunting blues, also cut by Otis Williams on Deluxe. Dual market entry." The magazine, reviewing the disc in the pop section, totally omitted that it was a overdubbed re-release and in fact was country song. By then, Rabon Delmore had already been dead and Alton was living quietly in Huntsville, Alabama. The record might have rewarded King with some sales but enjoyed no chart success. It was one of the last releases by the Delmores on King. 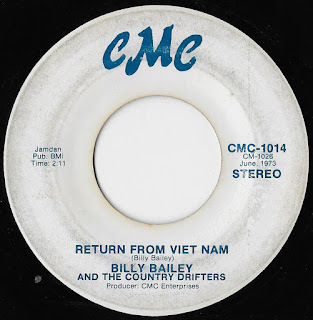 Here we have a Vietnam war era song, as there were so many back then. However, to my knowledge, it's the first war era themed song on this blog. The armed truce between the United States and North Vietnam came into existence in January 1973, so this record was a pretty up-to-date political comment. Billy Bailey may have been the singer's real name or not, we do not know. If there's anyone out there who knew him, please leave a comment and delight us with his story. His band, the "Country Drifters," remain as obscure as the vocalist. Nevetheless, I sense a connection with another CMC record, as the Country Dirfters appear also on this record here (different singer, though).